Synopsis (Goodreads): It is the story of an old Cuban fisherman and his supreme ordeal: a relentless, agonizing battle with a giant marlin far out in the Gulf Stream. 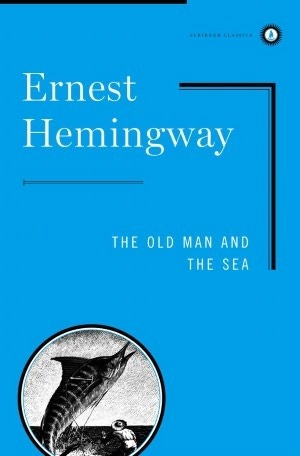 Using the simple, powerful language of a fable, Hemingway takes the timeless themes of courage in the face of defeat and personal triumph won from loss and transforms them into a magnificent twentieth-century classic. The old man came over as a man who just tries to get through his days, getting older and being able to do less, seeing himself living towards the end of his life. He also sounded lonely. He sits alone in his boat, talking to himself, wishing multiple time that his apprentice (Manolin) was there to help him and talk with him. He catches a massive marlin, which he struggles with to haul in, and wants to show everyone his catch. In the end I distinguised a message that you don’t always need to have big accomplishments or positive things happening to you with other people around you to be able to grow. You can grow in experiences and have memories without other people needing to see it. Sometimes you knowing what you can do is enough. Another message the book gives is that sometimes the fight to get somewhere gets you more than the end result. You can learn a lot from the journey only. It’s a great classic read. Only 132 pages, but which such an amount of life lessons. Once you have read it, it will add something to you. Maybe you will get your own messages out of it. I gave this book 4/5 stars. I highly recommend you to read this book.